Bryant makes an effort to cover the needs of a wide range of consumers with a diverse product line. The Bryant Legacy Line Model 215B 16 SEER heat pump offers surprisingly good efficiency along with excellent affordability. 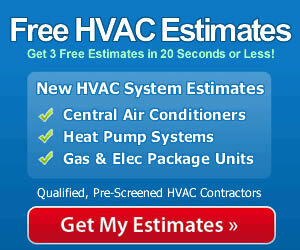 It’s a great choice for value-oriented homeowners who want good reliability and performance. That’s what Carl from Jefferson City, MO was thinking when he selected this model for his home. His HVAC prices post give the Bryant Legacy Line Model 215B 16 SEER heat pump price he paid and the details. “Last year we completed our family with a surprise set of twins, and with 5 kids now it was time to find some more room in our home. We love the house and neighborhood complete with a park and a great elementary school. So we did what we had to do and added a second story to our ranch home. We lived with my in-laws for 3 weeks while the worst of the construction was occurring. One change I didn’t initially consider until the HVAC contractor who was running the duct work asked me about is was the need to put in a larger heat pump to heat and cool another 720 square feet of space! 16.0 SEER for cooling; 9.0 HSPF for heating. Tax Credit / Energy Star. Puron refrigerant is safer for the environment and works more efficiently than older types. Works with standard thermostat or Bryant Thermidistat. DuraGuard system protects the internal components. Sturdy cabinet is coated with powder paint to resist chips, fading and corrosion. Models available from 1.5 / 18,000 Btu to 5.0 / 60,000 Btu capacity. 10-year warranty on the compressor and all functional parts. While installation expenses may seem high, there is usually quite a bit of labor and materials that go into the process as well as the overhead that tools, training, equipment and insurance represents. The key point, however, is that hiring a qualified contractor to handle the installation will give your system the best opportunity to perform up to its specs with high efficiency and excellent durability. Cutting corners here, or using an inexperienced handyman or DIY enthusiast often costs more in the long-run. Go with a pro and get the best from your Bryant Legacy Line Model 215B 16 SEER heat pump!